Your local council will be the best first contact to find out what adult day care centres there are in your area. You will be able to talk to an adviser about the situation and discuss the best course of action for you or someone you are caring for. Founded in 1962, the award-winning charity, The Westminster Society for people with learning disabilities offers services for people with a wide range of learning disabilities, as well as their families. 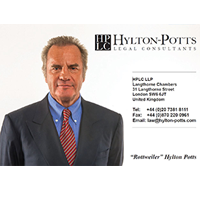 We operate in Westminster and other London Boroughs. Since 1978, Bendrigg Trust has both encouraged and boost independence and built self-confidence for over 79,000 disabled and disadvantaged people throughout the UK. We aim to offer a wide range of adventure activities in order to help disabled and disadvantaged people to explore themselves. Willow Park Resource Centre provides people with learning disabilities, physical disabilities and sensory impairment a leisure environment. Staff aim to offer a wide range of activities at different times of the day to meet each service user's requirements and provide the opportunity for individual 'learning through leisure' plans. The Bay Tree Resource Centre has been established to suit the daily lives and challenges faced by adults diagnosed with dementia. Skilled care is available, with needs regularly assessed, while the Centre's purpose is to enable an independent and satisfying daily lifestyle. Essex Care Consortium Ltd is an independent, therapeutic resource registered with The Care Quality Commission. We have four residential sites - one in Colchester, one in Marks Tey, one in Prettygate and one in Fordham. We provide a wide range of specialist residential care and day services for people with learning disabilities aged 18 and above. We are also a City & Guilds Approved Centre, providing training for Social Care staff. Hop Skip and Jump provide immediate and flexible respite care for children and young adults with disabilities and SEN. They are able to cater for up to 60 children a day, providing a variety of groups and activities for them to engage with, indoor and outdoor play facilities, all with an emphasis on self-development and discovery. They have four large centres: Bristol, Cheltenham, Swindon and Wigan.